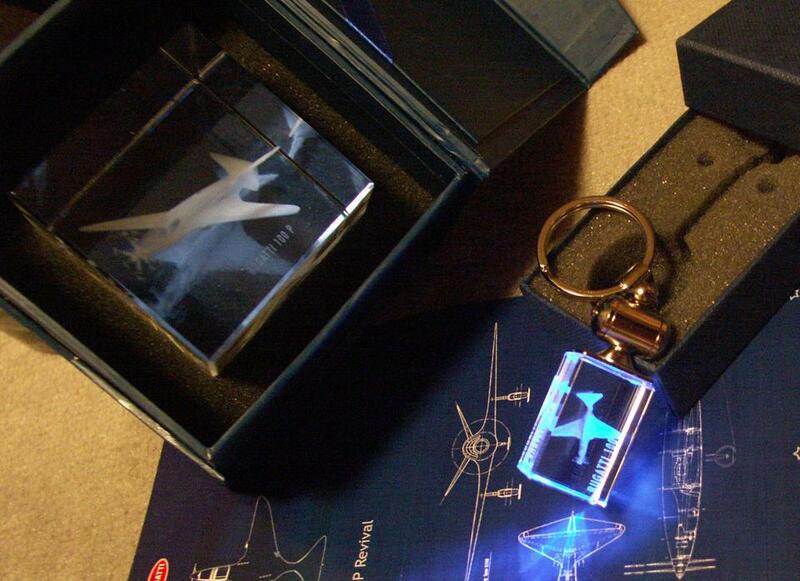 For info: E-mail: J.J.Horst@BugattiPage.com or frederic_gasson@yahoo.fr. 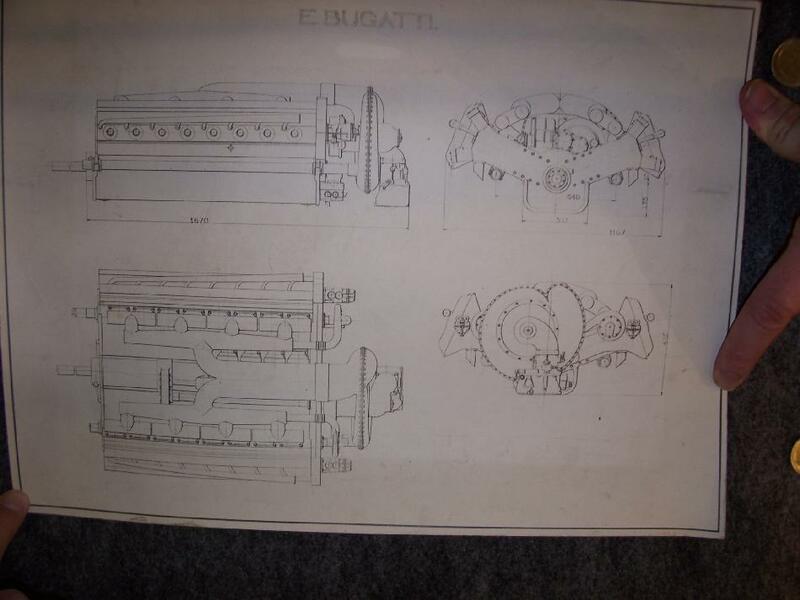 Original print of V16 Bugatti T67 Aero-engine design from 1939. Only first discovered in 2006! This original B/W print on extra thick paper is in relatively good condition, and perfect for framing. This is your chance to possess this unique pece of history, which proves that Bugatti in the 30's was busy developing a lot more than just cars. 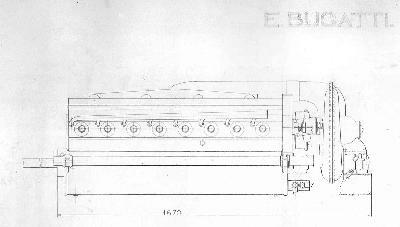 By my knowledge this revolutionary engine of 17,6 litres capacities was almost fully developed on paper (Some detail drawings exist at the Bugatti Trust), but never realised. 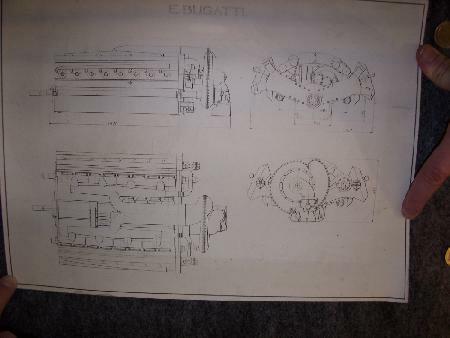 The print, showing only overall dimensions, but very detailed in shape, including the centrifugal compressor, was possibly used by Bugatti to try to sell the engine to the airplane manufacturers of the era. remember, this was the time that also the Bugatti 100P Airplane was developed! More info on the T67: It´s a V16 aero - engine, fitted with a centrifugal compressor. The drawing is a print, not dated or signed, showing the main dimensions. The block alone (without compressor), is approximately 1m50 long. Comparing this with similar engines of the time with equal capacity, the engine must have had at least 1200HP. 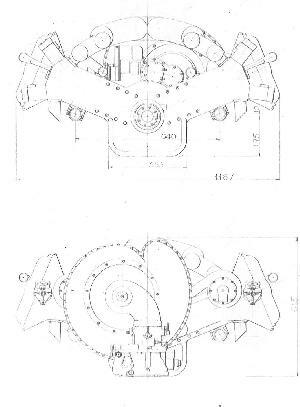 The centrifugal compressor is of the French Sczydlowsky type, which according to French airplane (and Bugatti) expert Jean Louis Arbey was available from the mid-1930´s. In some of the books, a T67 denomination is indicated for a V-type engine of 1939 (though some books indicate it as being a V8). Though the engine was not built, this is still an important discovery. 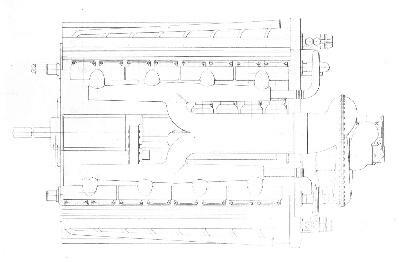 The detail of the drawing indicates that the design was at a state when all major design work had already been completed. It is most probable that this drawing was sent to prospective customers. The lay-out of the engine, with the very wide angle-V of approx. 135 degrees, is not fit for fighter aircraft. Probable use might have been flying-boats, cargo or maybe even bomber airplanes. Several questions remain, for example if deMonge´s team that was working on the Bugatti Airplane had anything to do with the design, or if the engine was designed at the Bugatti Paris office, or maybe even in Molsheim?. Though no detail drawings are available, some info may be taken from the drawing. Obviously each bank had twin-overhead cams. Unknown is if there are 2 or 4 valves per cylinder. Considering the large size of the engine it may well be 4 (Von Saldern in his book writes it are 4 valves per cylinder, though he mistakes the no. of cylinders at 8). The camshafts seem to be driven by chains, seen from the design of the camshaft-drive cover. The carburettor is fitted under the centrifugal compressor, which feeds both banks through a complex inlet manifold. Two waterpumps are fitted at the rear of the engine. The exhausts are at the underside of each bank.